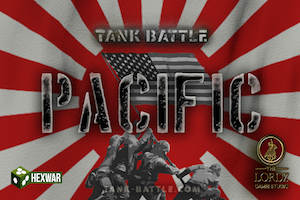 Tank Battle: Pacific now available for Android, PC & Mac! Ask most historical strategy gamers about World War Two and not many would have thought there were any tank battles in the Pacific Theatre of World War Two. They did happen, and they happened often, but they never matched the scale of the Western Theatre. Starting in China in the 1930’s the Chinese engaged the Japanese using Russian T26’s and German Panzer I’s. The Japanese fought the Russians in 1939 and 1945, the Soviets with the one of the world’s greatest generals, Zhukov, in command! In 1941 the French in Vietnam briefly fought the Japanese with World War One era tanks. In Burma and India, British Commonwealth forces regularly engaged in battle using equipment that would have been considered obsolete on the West Front. Finally the titanic struggle between the Japanese and United States of American resulted in dozens of tank engagements. Even the Island War battles saw some engagements with over 30 Japanese tanks in a single mass assault. Tank Battle: Pacific attempts to create many of these battles with a mixture of historical battles and themed scenarios that capture the experience of being a tank commander in the Pacific Theatre in World War Two. Fight battles between Japan, France, China, Russia, British Commonwealth and The United States of America. The game has a wide range of features from the tank battles of Northern Manchuria to the battlefields of Burma and the landings on the Pacific Islands. The game even includes a what-if scenario for Operation Olympic, the invasion of the Japanese homelands. Please note: Discount code is valid until the 4th August 2017.